Born at Peterborough, Ontario on 24 November 1868, he was educated as a lawyer and teacher. He came to Manitoba and taught at MacGregor School (c1899) and Hartney School (1901-1905) before moving to Brandon as Principal of the Brandon Normal School, serving from 1907 to June 1938. He was President of the Manitoba Educational Association (1931-1932). 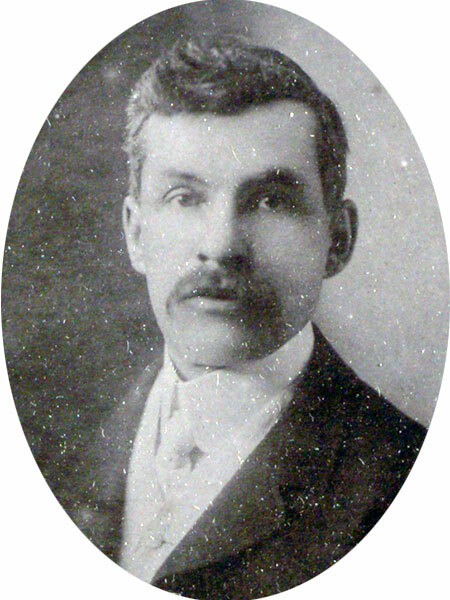 He also served as a Brandon city alderman from 1920 to 1923, and Chair of the Brandon Parks Board for 19 years. On 14 April 1900, he married Elizabeth Ida Lewis (1864-1942) at Winnipeg. They had a daughter, M. M. H. Doig. A keen naturalist, Hales amassed a substantial collection of Manitoba plants and animals which, in 1913, became the basis for the B. J. Hales Museum of Natural History. For many years he had a summer cottage on Lake Manitoba, and he travelled widely through the province, collecting specimens. He published the book Forests and Trees (1919) on the trees of western Manitoba. He died at Brandon on 23 December 1945 and was buried in the Brandon Cemetery. We thank Juliann Parsons, Al Thorleifson, and Terry Hewitt for providing additional information used here.